After Twitter its Facebook. What next? 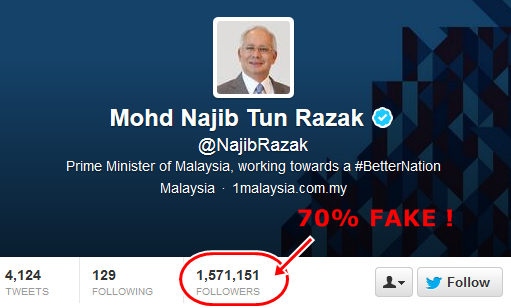 In our comparison of eight political leaders from the US, Australia, Malaysia, India, Thailand, Japan, Singapore and Vietnam, Malaysian Prime Minister Najib Razak topped the list for having the largest proportion of fake followers. The above was Najib Razak's achievement in microblogging site Twitter. What about Facebook? 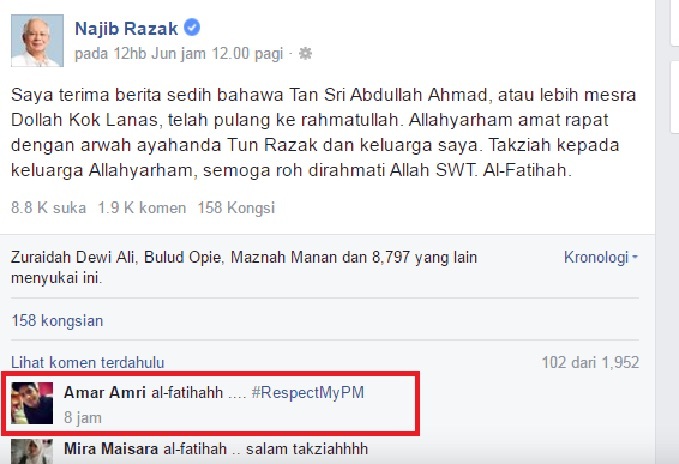 We have seen a lot of comments on Najib's FB with #RespectMyPM hashtag. Many tend to dismiss them as comments posted by fake accounts to create the impression that PM has a lot of support among the youth. But how do we know for sure? Read more to have your doubts cleared. Just take a random comment... in this case someone called Hanis Hanisa. 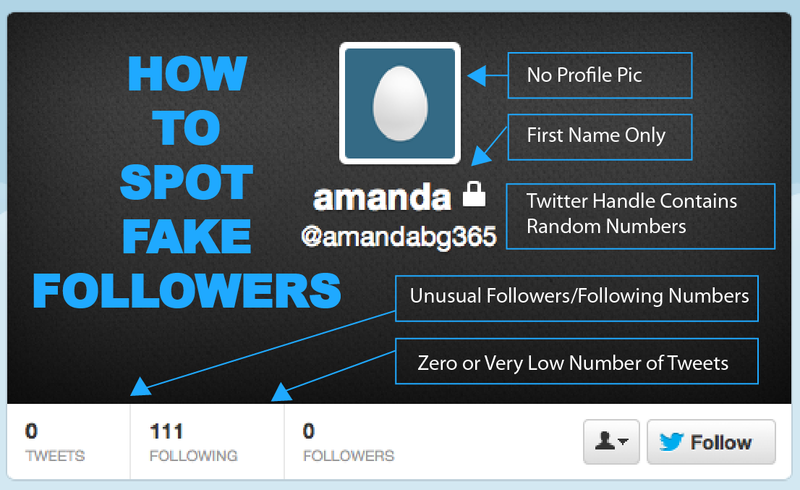 It seems that she created the account in the middle of May this year. And her profile picture looks sweet enough. Do a bit more ground work, and you'd realise that she's actually a pretty lass, said to be from Terengganu who's got over 123,000 followers on Instagram under @adirasalahudi. The picture used as "Hanis Hanisa's" profile photo on FB originated from here, which already has over 2,000 likes on Instagram. Ok, jom survey gambar lain pulak. Tengok gambar ni. The person bearing that image is actually Hasan Santiago. That picture was sourced from Myspace (social media platform long dead now) and the dude lived in Brooklyn, New York, not Kajang as what Daniel Xixii claimed. This chap goes by Amar Amri. If you can't see his FB profile picture, click here. But hold on.... perhaps this guy's actual name is Syafiq Syazwan and has a Twitter account here. Either Syafiq or Amar has a split personality or one person is taking another's profile picture without permission. Is Amar Amri / Panglima Cyber Bugis / Anak Buah Mat Maslan trying to drop us some clues? Someone should also teach him how to spell swear words correctly. Almost all the highly questionable FB profiles have been set to restricted public access ie if you are not friends with him / her, you can't see their postings. Which is kinda uncharacteristic of young people these days as they crave for attention, even from strangers. Most people from that age group would open up their FB accounts for the world to see. 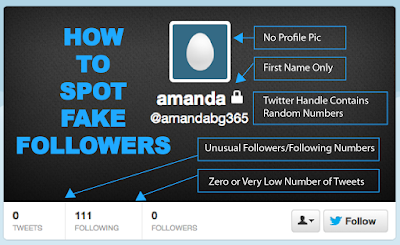 The list of fake accounts go on and on and on. But I guess the few examples above suffice to conclude that, YES, the most powerful man in Malaysia is being propped up via fake Facebook accounts. Selamat menyambut bulan yang mulia! Note: Najib's fake FB dwellings were researched and submitted here by reader Zianah Zain following the Australian magazine's expose of the Malaysian Prime Minister's fake Twitter followers. I doubt such cheapskate propaganda and manipulation stops at Twitter and Facebook. We should keep an eye on the voters registry as well. p/s Thank you Zianah Zain. 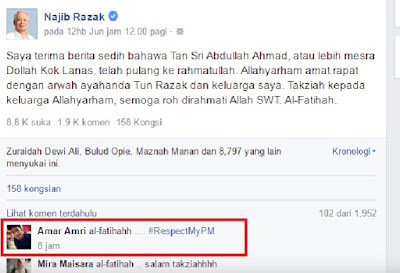 How to #RespectMyPM lah kalau menyangak macam ni? Not long ago this Bugis even managed to make a fool of himself when he met Zuckerberg of FB at 'Twitter's' HQ! So much for a guy whom are so arrogant gloating after SB & KK win yet uttered such silly quote "...layar dah dikembang sauh sudah di labuh....." prior. And, giving silly excuses trying to absolve himself from article 117 since TIA later morphed into 1MDB by getting some lackeys to come up with statements that he signed documents without knowing....???#@???&%$???? Yet this ONE BUGIS THIEF knew 2.6 Billion is at his disposal and 42 million from SRC Intl are clear cut CORRUPTION-THIEVING but simply goes about without any tiny speck of guilt going about shoppings and continued with his business helped by inaction from people around him, be it AGC, PDRM, SPRM, BNM! How much lower and deeper would Malaysia sink, ehhh? a happy go lucky lad turned into a careless happy go lucky white collar petty thief. his trusted confidante must hv been a very effective tutor. his best n most productive yrs was when he managed d min of defence where soldiers' welfare were enhanced. however after d revelation of d 1MDB debacle, his reputation has gone downhill ever since. even though he is trying his level best 2 salvage his honor, d damage is 2 severe 2 d xtent that it has becomes BER (beyond economic repair). one may ask whether he wld fight on? the answer is a definite YES. a self inflicted wounded tiger wil defend itself 4 as long as it can hoping that her attackers wil suddenly lose their interest. unfortunately in due time d tiger dies bcos of d severity of d wounds. some people just want to remain anonymous. and u call urself what....apanama?... apa benda tu? 1. Being anonymous is so very different from being FAKE. If you can't differentiate please seek some knowledge before making a fool of yourself. 2. apanama? apa benda tu? - Again please seek a little knowledge about the use of coloquial terms and language. Kahkahkah Kepalabana is an apt handle for Dina, I agree. Kehkehkeh...that's a good one Mr.Apanama....peribahasa kata siakap senohong gelama ikan duri...cakap bohong lama2 mencuri...faking tu membohong laa jugak kan.....sesuaiii sgt for the bugis warrior..
Perasan tak,dah lama pemimpin pemimpin utama negara lain tidak datang bertemu PM sekarang ni..yang datang pun hantar wakil saja....ramai dah tak mau kawan dengan awak wahai Pm. Your answer to Dina is superb!! !